For more than 30 years, Jean Rigdon has proudly served our veterans as a lab technician at the G.V. Montgomery VA Medical Center in Jackson, Mississippi. In December, Jean will hang up her lab coat and retire, taking those decades of experience with her. She would rather continue to serve part time, giving veterans and her successor the benefit of her experience. But the Veterans Affairs Department -- like almost every other federal agency -- does not offer that option, even though it has the authority to do so. Three years ago, President Obama signed legislation creating a phased retirement program for federal employees. Almost a year ago, the Office of Personnel Management finalized regulations for the program, making the new tool available to agencies. Unfortunately, for many like Jean, transitioning to part-time retirement still isn’t an option at their agency. 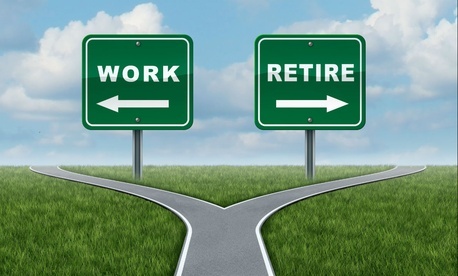 Phased retirement is a win-win program -- good for the employee and good for the government. Actually, it’s a win-win-win, because it’s good for the taxpayer, too. It will save the federal government money -- $450 million over 10 years, in fact, according to the Congressional Budget Office. Phased retirement would improve government operations, as well. First, it would help stem the tide of the retirement wave facing the federal government. About 110,000 federal employees are retiring each year, with that number expected to double in the next two to three years. Second, instead of losing experienced employees, agencies would be able to retain them on a part-time basis and benefit from the law’s requirement that they mentor junior employees, including their replacements. Retaining institutional knowledge is not only good for the federal government and its workers, but also for the American people, who rely on the services they provide. Federal firefighters, meteorologists and air traffic controllers are among those who agree there are some things that must be learned through on-the-job experience. Phased retirement is one way to ensure those critical skills are not lost by shortening the learning curve for younger staff. Finally, phased retirement would help continuity of government operations if emergency situations arise. While we can never fully be prepared for all eventualities, experienced employees would be better able to tackle unexpected challenges. Unfortunately, these benefits have yet to be realized within federal agencies. With one notable exception -- the Library of Congress -- federal employees across government are not yet able to participate in phased retirement. Although phased retirement would keep our federal workforce strong and competitive with the private sector, many employees have become frustrated waiting for their agency to put phased retirement in place. I continue to hear from workers like Jean who are now finalizing their retirement plans because they don’t know when their agencies will stop dragging their feet. As I did in a recent letter to the Chief Human Capital Officers Council, I now urge federal agencies to implement phased retirement as soon as possible before more of our nation’s talented workers -- like Jean -- walk out the door. Richard G. Thissen is president of the National Active and Retired Federal Employees Association.